›› Subscribe to our weekly blog, Social TrendSpotter, to learn the latest social sector trends. The whole-child mindset is based on the ideal that every child should be healthy, safe, engaged, support and challenged. Although it is not a new concept – in fact, its roots reach back to the 19th century – we have begun to see more and more government agencies and nonprofit organizations use it to develop programs across many different issue areas. This kind of cross-pollination is a tell-tale sign that this trend is here to stay. We hope you’ll delve deeper into this important trend after reading our brief overview of how whole-child mindset is successfully being used to better meet the needs of children in the areas of health, education and workforce development. Health: In spring 2013, ASCD (Association for Supervision and Curriculum Development), one of the leading thinkers on whole child, and CDC (Centers for Disease Control and Prevention) upgraded the coordinated school health program with a whole-child mindset. They recently released their results in the Journal of School Health in November with great fanfare. 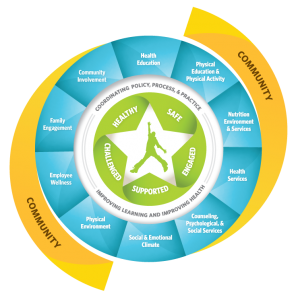 The new model takes a system change approach with the child at the center, stressing the importance of “coordination among policy, process and practice.” It also places a greater emphasis on engaging families and students as active participants. The new model – which brought together the best thinkers in health and education – provides us with an evolved model that focuses on both academic and health outcomes, encourages community as well as school engagement, and gives greater attention to social and emotional development. We encourage all organizations in health and education to read this article and integrate it into existing plans. Education: The passage of Every Student Succeeds has also brought new thinking into this conversation, giving states flexibility on measuring school performance. Many school districts, especially ones struggling with poverty, have used the whole-child mindset as the philosophical underpinning of their culture. Each year, ASCD gives out awards to schools who exemplify the whole-child concept. The 2015 winner was Magnolia Elementary in Joppa, Md., which has built five “houses” within the school, each one aligning with a desired trait – responsibility, respect, cooperation, encouragement and perseverance. Workforce: The passage of WIOA (Workforce Innovation and Opportunity Act) reinforced research indicating that quality childcare is one of the greatest drivers of economic mobility. Additionally, recent research led by Dr. Ron Haskins continues to support the importance of connecting parents and children as a unit – also known as a two-generation model. He has identified six pathways that impact child development – stress, parent education, health, employment, income and asset development – leading many to believe that poverty approaches are most effective when they are multi-generational and comprehensive. As we look forward to a new year, the whole-child mindset seems to more than a fad. It is built on decades of solid research and is amplified by a new model that connects community-school-family response to student-driven need. It also recognizes that we have to break through our silos to ensure that children get their needs met in a comprehensive and connected manner. We would love to hear your thoughts on how this trend is being used in health, workforce and education and how you see it driving your plans and priorities in 2016. The Montessori Community (started by Maria Montessori circa 1906) has been promoting the concept of the “whole child” for decades. In support of those efforts, GROWING SOUND published a music CD titled: “ANYTHING’S POSSIBLE: Songs for a Montessori Environment” and created a professional development training titled: “Music for a Montessori Environment: Songs that Nurture the Whole Child”. Yes, yes! 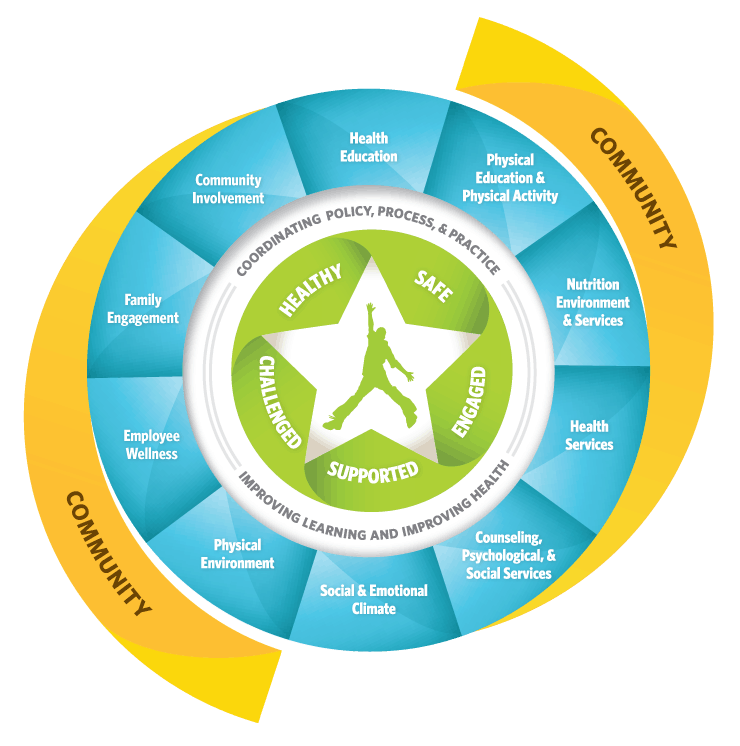 The whole child mindset aligns with King County’s initiative “Best Starts for Kids”, a $65m/year investment in in prevention and early intervention for children, youth, families, and communities. It will be the most comprehensive approach to early childhood development in the nation, starting with prenatal support, sustaining the gain through teenage years, and investing in healthy, safe communities that reinforce progress. We are applying many of the approaches you’ve highlighted in your newsletter! WANT TO KNOW THE LATEST SOCIAL SECTOR TRENDS? To receive our weekly blog, Social TrendSpotter, complete the form below. Join us and learn how to take the social sector to the next level. The use of the word “architect” should not in any way be confused with a licensed professional who designs and constructs buildings and other structures.